“On October 31, 1517, Martin Luther nailed ninety-five theses to the castle church door in Wittenberg, Germany, which addressed the abuses of the sale of indulgences and provided the catalyst for the Protestant Reformation. 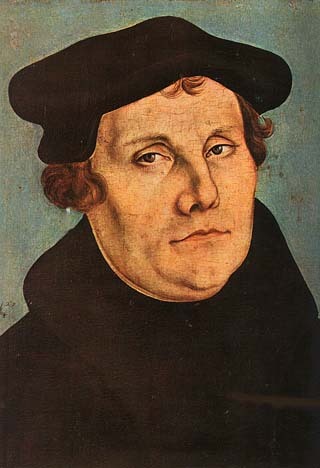 “Martin Luther is one of the more important figures in Western history, as his thought has impacted family life, politics, church-state relations, individual liberties, and a host of other societal issues. His powerful expositions of the Gospel remain one of his most important legacies. In an era when the Gospel had been eclipsed by a system of human merit, Martin Luther and the other reformers were able to remind the people of God that we are declared righteous in the sight of the Lord through faith alone in the person and work of Christ Jesus.